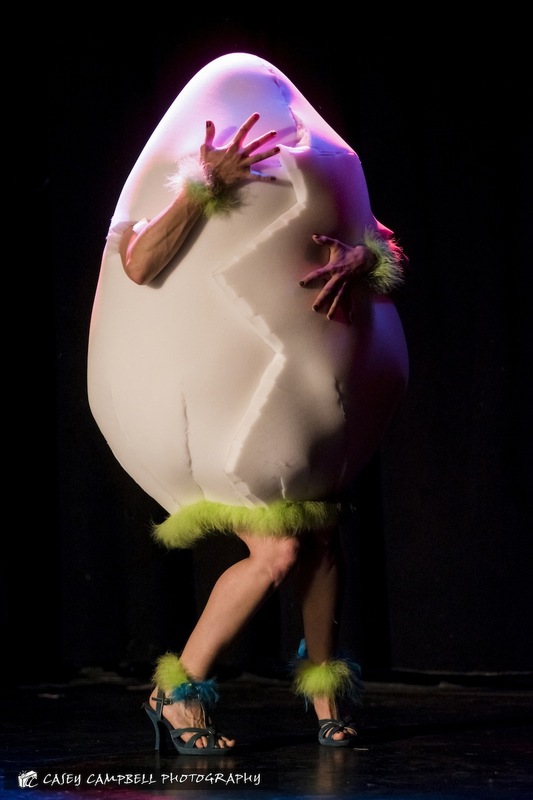 Trudy Bauchery produces and performs in risqué variety shows. Striving to bring an innovative flame to the resurgence of renegade vaudeville, she creates original skits, props and costumes. She includes talented performers ranging from tried and true luminaries, bizarre underground treasures and “newbies” with great potential. She assembles an animated cast aimed at tweaking the funny bone and tickling the mind. Trudy Bauchery is a vaudevillian performer of burlesque persuasion.Trudy is celebrated for her wit, costumery and elements of surprise. She holds audiences in tantalizing anticipation just long enough before saturating them with gratifying amusement. Enjoying the challenge of coming up with new material, Trudy Bauchery is ever evolving and truly debaucherous. Catch her new acts while you can before she moves on to another one!